BLOG: 2019 CUNA Diamond Award Announcement! 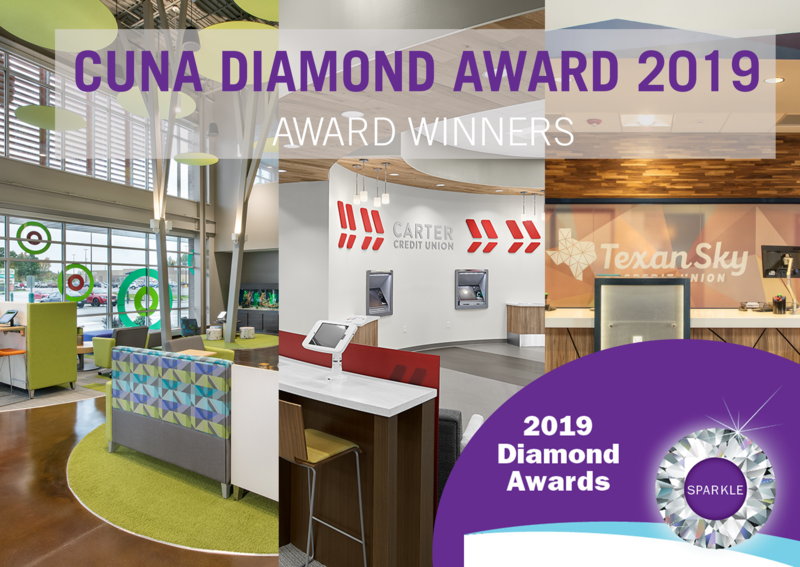 MILWAUKEE -- La Macchia Group is pleased to announce that its branding work for three credit unions has received 2019 Diamond Awards from the CUNA Marketing and Business Development Council, including two Category’s Best awards. The Diamond Awards recognize and reward creative excellence and outstanding results in credit union marketing. Seen as the most prestigious industry competition, these three projects were awarded among a pool of more than 1,000 entries in 36 categories. The award ceremony took place on Friday, March 22, 2019 at Caesars Palace in Las Vegas. Texan Sky Credit Union was recognized as Category’s Best in Re-Brand/New Corporate Identity. The new “Texan Sky” name, “Start Dreaming” tagline, logo colors and messaging work together to create a brand identity that speaks to the heart of the history of the credit union and offers an emotional engagement for Texan Sky Credit Union members. Park City Credit Union was recognized as Category’s Best in the Brand Awareness. Park City leadership sought to elevate its mission as a known, recognizable brand, carried across every element of its operations from its members and staff to the broader Merrill, Wisconsin community. The headquarters building, designed and built by La Macchia Group, is uniquely Park City, embodying the Park City Credit Union brand. Carter Credit Union was recognized in the Logos category. The credit union needed to connect with current and prospective members on an emotional level, while demonstrating an understanding and commitment to what its members value in a credit union. Carter’s new location in Bossier City, Louisiana offered the perfect space to debut its new logo and act as a basis of design for other branches.